While I am finishing up my Masters of Prosthetics and Orthotics next spring, I will also be participating in an amazing mission project put on by ROMP (the Range of Motion Project). 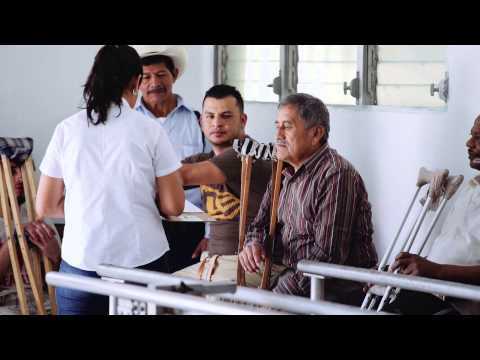 "ROMP is a non-profit, for-impact healthcare organization dedicated to providing prosthetic and orthotic care to those without access to these services." I have always had a passion for mission work, and thanks to ROMP, I have been given an opportunity to combine this with the skills from my chosen career as a Prosthetist and Orthotist to uniquely help others that truly need it. I will be travelling to Zacapa, Guatemala with a few classmates to spend a week assisting at the locally staffed clinic ROMP has established there. Here we will be casting, modifying, fabricating, fitting, and aligning prosthetic devices to patients whose public health system does not provide them with prosthetic care. Thank you for taking the time to learn about this amazing organization, the work they do, and how I am able to participate. Donations go towards funding this trip and the ROMP organization so that they can continue to provide prosthetic care and increase mobility across the globe. If I reach my pledged $1500, then additional donations can go towards helping with my flight cost.